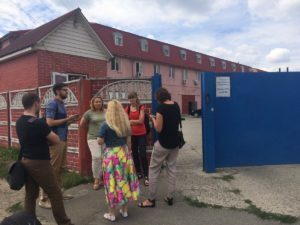 JIPS conducted a scoping mission in Kiev following a request for support from the Shelter Cluster for the Ukraine response and UNHCR. With various Government and Cluster partners, the Cluster aims to conduct an assessment of the situation of IDPs residing in collective centres, where needs are thought to be especially acute. The assessment seeks to identify available and adequate durable solutions based on the needs, vulnerabilities and capacities of the IDPs. The overall objective of the mission was to support the Shelter Cluster, UNHCR and partners to initiate the exercise, while ensuring a collaborative approach throughout the process oriented towards measuring progress towards durable solutions. Needs and opportunities for further profiling steps were identified, including strengthening of existing data collection systems, interest from government counterparts and engagement from development actors. Following this mission, we will support partners in Ukraine to finalise the methodology for a durable solutions collective centre assessment and will discuss and advise on plans for broader profiling exercises with Government counterparts and humanitarian and development partners.